Finally, the moment we've been all waiting for!! 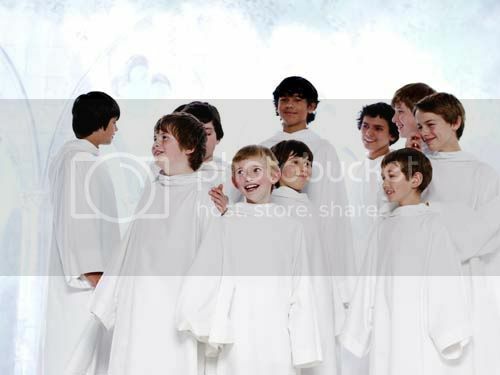 Libera's Spring tour pictures from Singapore and Japan are up now :D!!! Woo hoo!!! And plus, today is Labour Day in Malaysia. So it's a public holiday for all of us. What a great way to cheer me up even before our holiday. Thank you to those who tweeted this yesterday. I bet they had fun during the tour. And quite funny too. You can see more from here. Our shining angels working hard for the concerts. I guess this must be during their rehearsal back in South London before they head to Singapore. Hello, cute Michael U-R :). We know who's behind the DS (or PSP). The name gives you the hint ^_^. Thank you, Jude, for showing my hotel, Marina Bay Sands, inside the Singapore Flyer :D.
Jenson Button? Where is that place? Matthew M trying some new food, which is noodles. He looks happy to taste it. Ha ha! Love the lightings. It fits the song perfectly. 5 boys with their Singaporean musicians. Ralph, Cassius and Ciaran outside the Kuil (Indian temple). I use to pass by a lot of these temples on my way to college everyday. Inside a souvenir shop. Love those bags behind them. Love this one. Henry posing as the Laughing Buddha behind him. Lol! At the hawker store!! Glad they tried some hawker food. You like them, boys? Out on a boat ride. I can't see the name of the building behind them. OMG! This is so hilarious. Ha ha! Love Cassius' look on his face. 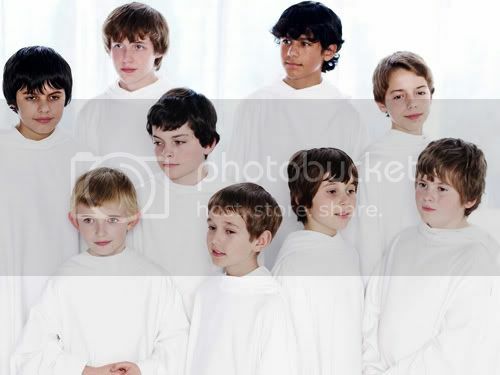 The people behind them must be thinking, "Are these boys crazy or what?" Lol! Just kidding. 5 sweaty boys posing for the camera. Singapore's really hot these days, eh, boys? Anybody knows what's this beach called? The boys having fun swimming in the pool of their hotel. I remember Lauren use to have this picture of the pool because she also stayed in the same hotel as them. Bowling! How I miss bowling. Love the koi pond. They always seem to make the pond colorful. Even on paintings. A lot of rich people have those in their gardens. Issac and Dylan behind the "Marunouchi South Exit" sign. Okay. 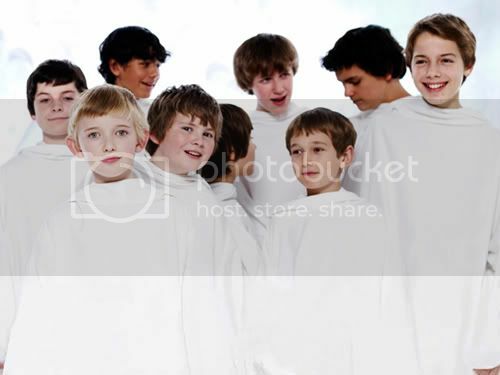 Never seen Libera doing this before :D. But good picture. This must be inside Tokyo Tower.